Industry leading Firestop Technology, ProWrap Blanket is a fire resis- tive barrier product developed to provide true fire protection for electrical component systems threatened by a hydrocarbon fire condition. ProWrap Blanket is a ceramic fiber, made from the purest raw materials which are electromelted, air-blown at high speed and fiberized. It is needle punched on both sides and possesses high strength before or after heating. 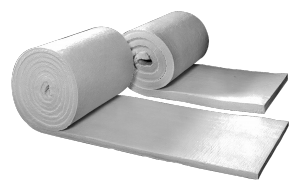 Lightweight and soft to the touch, ProWrap Blanket is under FM Global fol- low-up inspection service at manufacturing locations in the Americas, Eu- rope and Asia, insuring that the product received for installation meets the same exact quality standards of the material that was submitted for testing.